Has your email account been stuffed with email notifications of Cyber Monday and Black Friday deals? Yeah, me too! 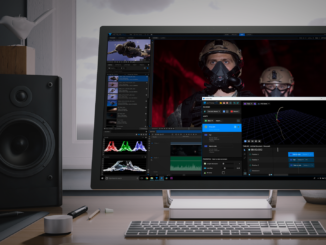 But since we’ve already talked about film and video production Hardware deals and ideas on Black Friday, let’s see if there are some great Cyber Monday Software deals out there! 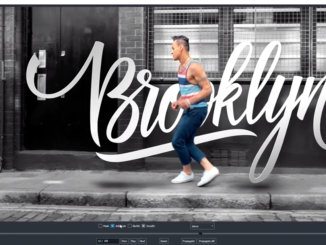 Adobe has a great Cyber Monday deal going on right now for Creative Cloud: $39.99 a month. That’s 20% off the annual plan, billed monthly. 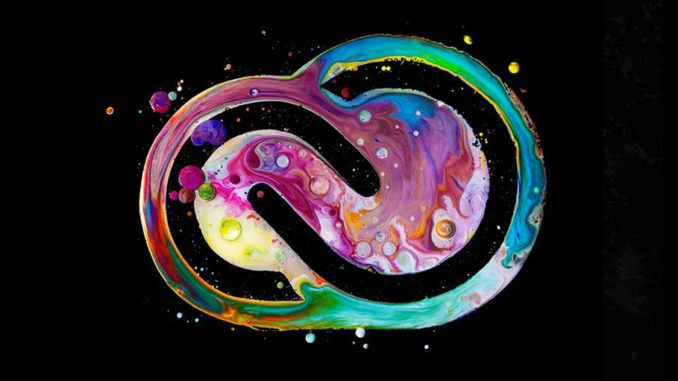 Considering that Creative Cloud gives you access to the entire collection of 20+ creative desktop and mobile apps including Premiere CC, After Effects CC, Photoshop CC, Illustrator CC, and Adobe XD CC, it’s an even better deal. You also get up to 100GB of cloud storage, your own portfolio website, premium fonts, and social media tools. And if you’re a teacher or student, the deal gets even better at $19.99 a month! Offer good through December 1st. Over at Toolfarm, there’s a Cyber Monday sale offering up to 33% off on all plugins and software, including Red Giant, BorisFX, FilmConvert, and others. An example: Until the end of today, you can get the entire FilmConvert bundle for $149. 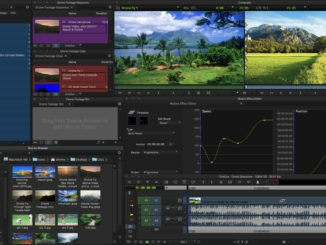 Or $99 for NLE centric plugins for Premiere, Final Cut Pro X, Avid and others. There’s also a 20% off sale on FX Factory assets as well. Some expire today, some on November 30th. Check it out here. 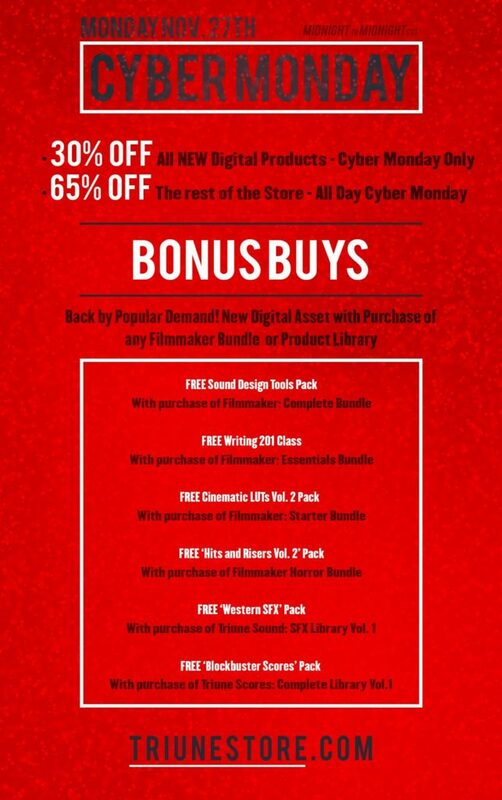 To get the deal, you have to go to RED Giant’s website on December 5th and look for the coupon code. Red Giant says it’ll be listed all over the site. Red Giant will also be giving away over $100,000 in software during the promotion. To have a shot at your piece of that pie, Follow @redgiantnews on Twitter, retweet contest tweets that use the hashtag: #RGYearEndSale, and enter once every 12 hours for a chance to win. More details here. A powerful and affordable editing option is Final Cut Pro X, which you can try free for 30 days, and the price is only $299. Download the trial here [iTunes link]. Add in Motion 5 [iTunes link] and Compressor 4 [iTunes link], each $49! 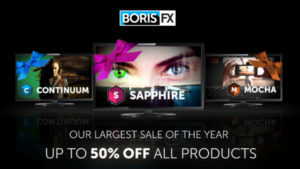 Over at Boris FX, they’re having a 50% off sale on bundles and specific plugins. Mocha Pro is also discounted by half. Nodelocked licenses only. Plus 30% off all individual products. Downside – the sale is limited to one license of each product per customer. Offer runs through midnight, November 30, 2017. Visit https://store.borisfx.com/. Ryan Connolly of Film Riot is having a Cyber Monday sale on all his Triune Films home grown media assets, with deals up to 30% off, and 65% off everything else in the Triune Films store. There’s also special bonus buys and I’m pretty sure they will be advertising flash sales via Twitter. They always do that for Black Friday/Cyber Monday. In addition, they’ll be giving away a free media asset with every purchase. Check out the bargains at TriuneFilms.com. Offer ends at midnight, November 27th. Avid is offering 20% off subscriptions on one-year subscriptions to Pro Tools, Media Composer and Sibelius. First time users of Sibelius can also get 50% off. Additionally, the company is offering their Annual Avid Complete Plugin Bundle for free when you renew or get current on your upgrade plan. Visit Avid.com/special-offers for details. Also if you’re looking to get some script writing software, you can pick up a copy of Final Draft 10 for $100 off, at $149. Those are the deals we saw this morning, and there are some great bargains to be had!